It's March 14, which means it's National Pi Day (π, or 3.14), and we're celebrating with both sweet and savory pie recipes! 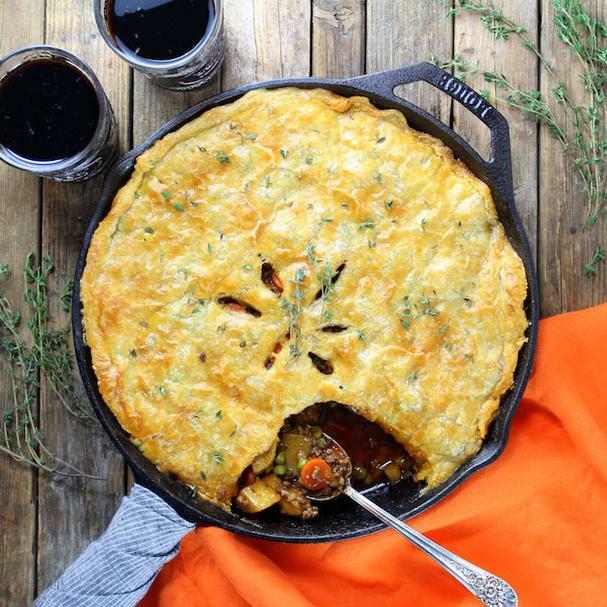 Whip up a comforting Cottage Beef Pie with Potatoes, Parsnips, and Stout Beer (its froze puff pastry shell make it a cinch to make) or the Turkey Pot Pie for an easy dinner, or try the Gluten-Free Butternut Squash and Sage Galette for a wheat-free meal. Continue the love of pie and for dessert bake up a Quintessential Apple Pie (truthfully, this one will take some time), a Blackberry Pie Cobbler, or adorable mini heart-shaped White Chocolate Cherry Hand Pies (use frozen pie shells for less work). Whichever pie you choose, have a tasty Pie Day! What's not to love about a hearty beef and stout pot pie? One scoop of this dish with its flaky puff pastry shell and you'll be swooning for more. No need to fuss with a homemade pie crust, a frozen one will do the trick. 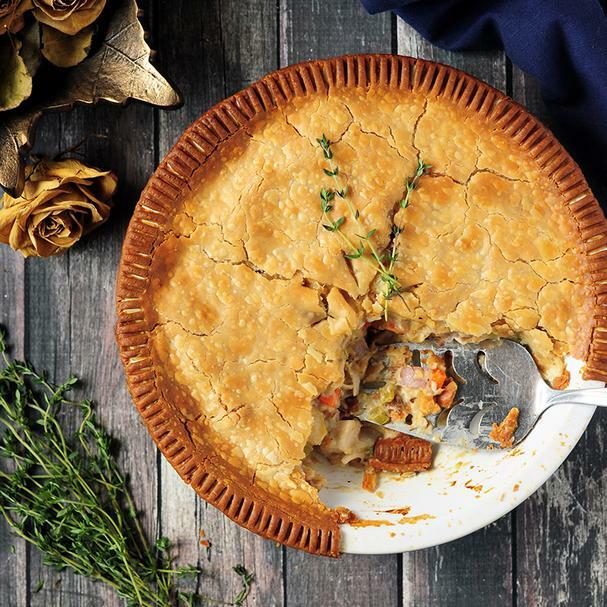 This scrumptious pie is loaded with pre-cooked turkey (or use leftover chicken), potatoes, carrots, onions, celery, and thyme. A little milk, bone broth, and flour meld together to make a nice creamy sauce for the veggies to bake in. A galette is a rustic pie with a free-form edge. I love them because you don't have to fuss with a perfectly crimped edge or a fancy lattice top. But as with any pie, a galette can be sweet or savory. This recipe is a little of both. 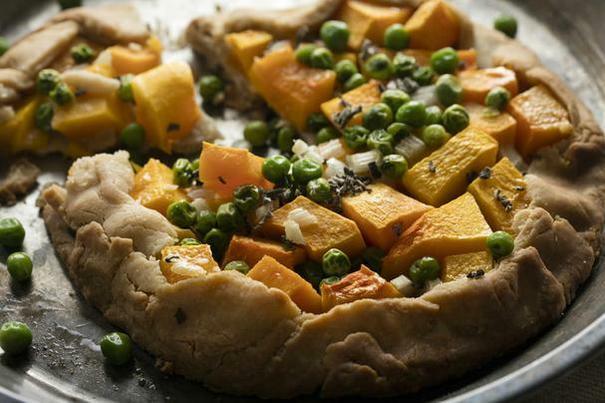 It's filled with butternut squash, onions, peas, a bit of maple syrup, fresh sage, and healing spices like turmeric and cinnamon. 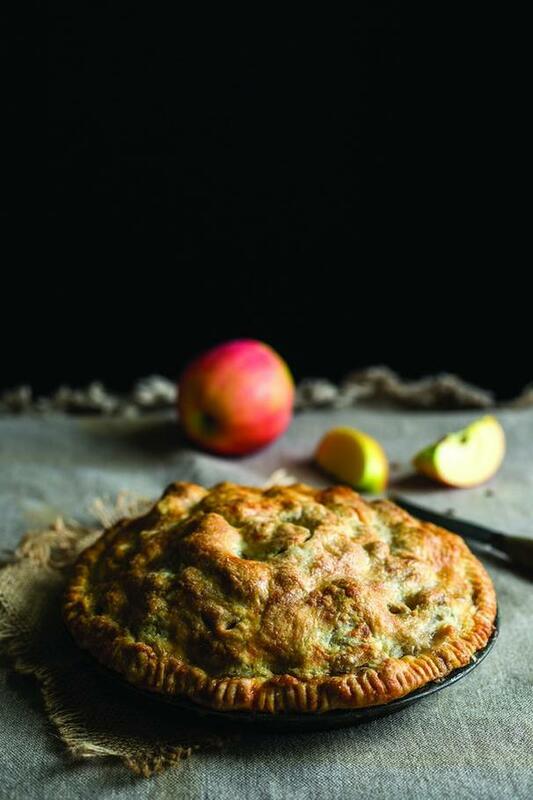 This amazing apple pie recipe is from Kate McDermott, an award-winning home-baker, and author of Art of the Pie cookbook. Her sweet and savory pies have been known to blow minds. Just sayin'. They're that good. 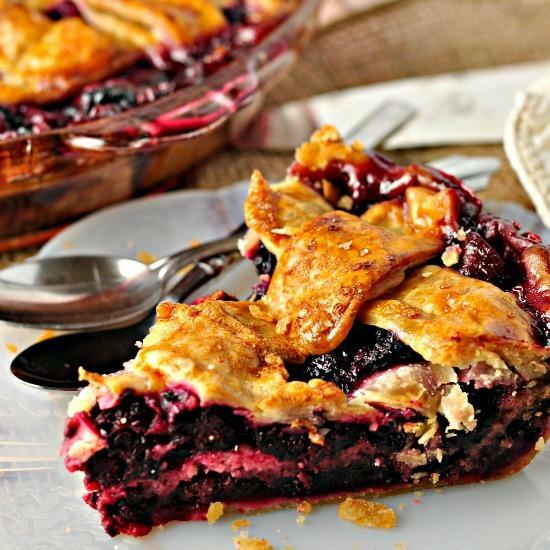 There's something so deliciously humble about berry pies and cobblers. This unique recipe is a mash-up of both beloved desserts with a crust thrown in the middle for good measure. You gotta check it out. 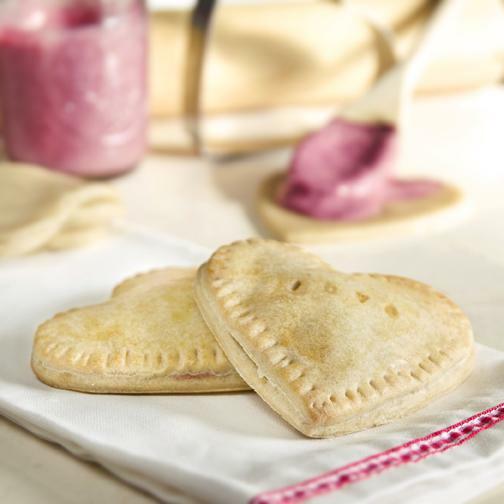 Who doesn't adore hand pies, especially when shaped like hearts. I think dark chocolate and strawberries would also make a lovely pairing.